6th international theatre festival "Moscow Nights" - Theatre "FEST"
We are delighted to invite you to participate in the 6th international theatre festival «Moscow Nights»! The festival will be held from 5th to 9th of October 2018 in the Mytishchi theatre of drama and comedy «FEST» (Russia, Moscow region, Mytishchi). 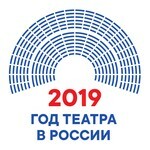 Any Russian or international drama theatre with either grand scale or small scale performance in any language is welcome to participate. The selection of performances for the festival playbill is carried out by the Expert Council. The selection is made based on reviewing the video recordings of the performances and supporting information. The meals, transfer, and accommodation expenses are borne by the festival (for up to 3 days for all staff members and for the duration of the festival for up to 3 staff members). 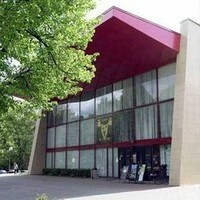 Theatre «FEST», the host of the festival, has two stages, the big one with 400 seats audience hall, and the small one, with 90 seats audience hall. You can find a detailed technical layout here (link). Festival regulations, application form and other information will be available on the Mytishchi theatre of drama and comedy “FEST” website: www.thefest.ru and both the theatre and festival social media on Facebook and VK. Applications are to be sent on or before April 15, 2018. Yana Molotilina, chief administrator, theatre “FEST”.